by Doug, a camel farmer based in Texas and Egypt. He offers 10+ day all-inclusive trips in Egypt, where you can live the local way of life and also explore the beautiful country. 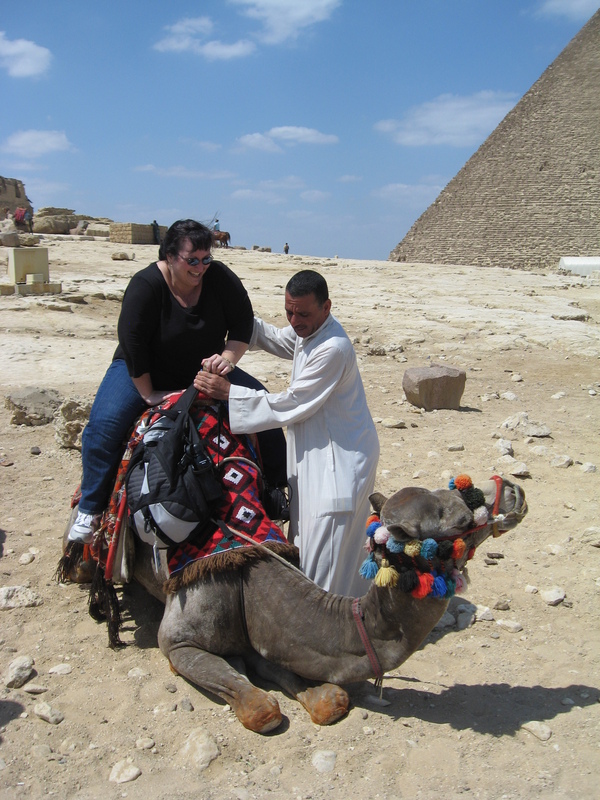 Wasta is Arabic for “connections,” and I like to think travelers on my experience have wasta the minute they sit and eat with the Egyptian families on my guided tours of Egypt and Sinai. During the day, while we’re out sightseeing with Adel, Suad is home preparing the night’s feast. Modern Egpytian cuisine traces its roots directly to the Pharaohs, so you can be sure you’ll eat like a king at each meal. Chicken, lamb, goat, fish and even camel can be prepared. Vegetarians needn’t worry; you’ve never eaten produce more varied nor fresher than that of Egypt, grown along the historic Nile. 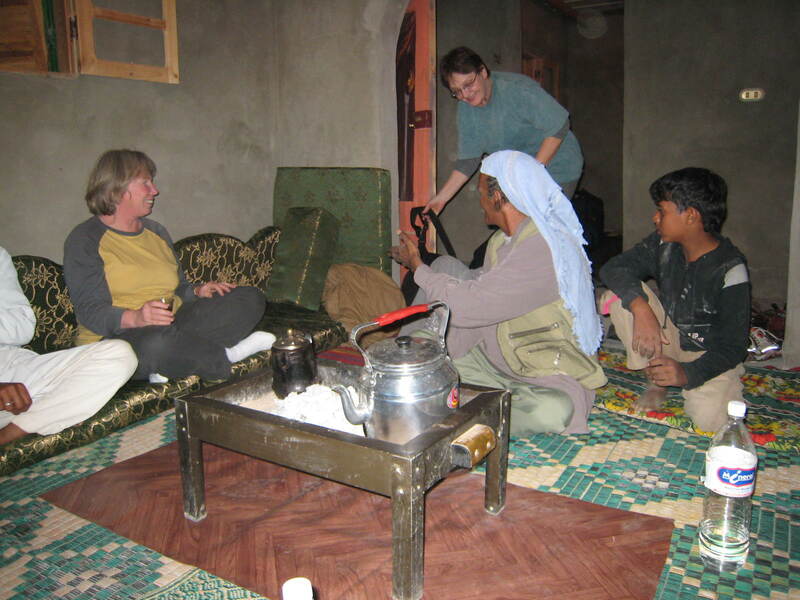 While camel trekking in Sinai, you’ll be guests of Saleh bin Soliman, of the Muzeina Bedouin tribe. Saleh and his wife, Freija, have seven children and live in the small Red Sea town of Nuweiba. 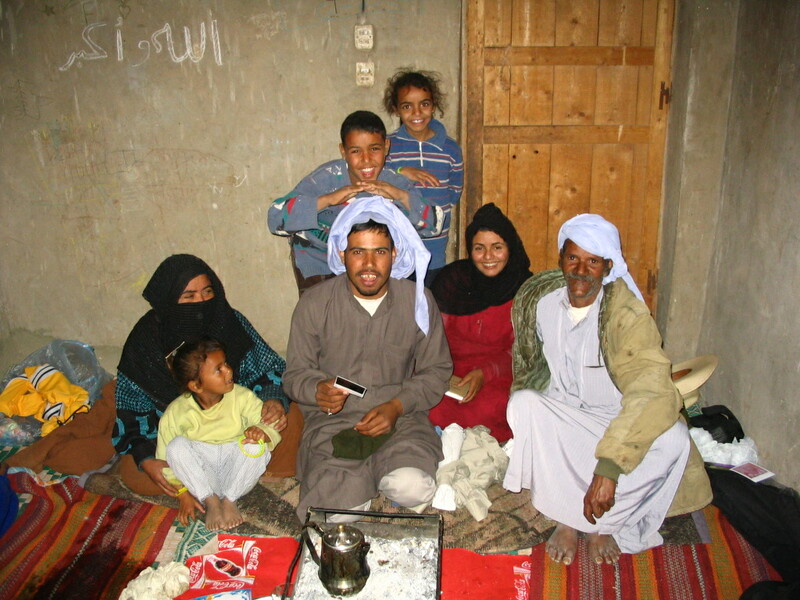 Saleh and family spend a good portion of the year in the interior of the Sinai desert, living among extended family in traditional goat hair tents. This is a lifestyle that truly hasn’t changed since the time of Moses and you’ll fall in to the Bedouin rhythm almost instantly. With tourism slowing, Saleh and his sons make money by selling tea in roadside coffee shops, making charcoal from dead acacia trees, or offering their services as drivers. The daughters help their mother, Freija, tend goats and sheep to make textiles from the hair and wool of their flocks. These bags and rugs are sold and make great gifts while representing a way for traditional handicrafts to help sustain the Bedouin culture. The impact your group has on Adel and Saleh’s families is real. In some cases it’s the difference between children in Sinai going without meat for one or two weeks at a time. In Cairo, many guests bring backpacks for school children or gently used laptops for young students. My reward? Getting to be the conduit, the go-between, facilitating your first steps as you learn to Walk Like An Egyptian. Next Next post: Have a Gay ‘ol Time at Pride!